10-night stay in top-rated beach resort in the exotic Malapascua Island, Philippines + flights from Los Angeles or New York from $479! 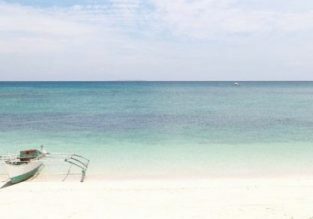 Cheap flights from New York or Los Angeles to Cebu, Philippines from only $351! China Eastern Airlines are offering a good price on flights from New York or Los Angeles, USA to Cebu, Philippines! You can book a ticket from only $351 for a roundtrip! Peak season! Cheap flights from USA to Brazil from only $399! Cheap flights from Seattle, Minneapolis, Detroit, Salt Lake City, Dallas, Los Angeles or Altanta, USA to Brazil for only $399 return with Aeromexico, LATAM and American Airlines! 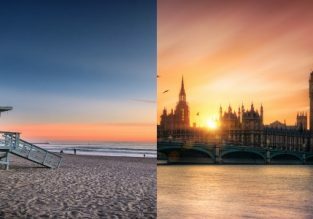 Cheap full-service non-stop flights from London to Los Angeles and vice-versa for £302/$427! Air New Zealand is offering a nice price on non-stop flights from London, UK to Los Angeles, USA and vice-versa! Book a ticket from only £302/$427 return with meals and checked bag included! Cheap flights from Los Angeles to Guatemala for just $260! Discover Malaysia! Langkawi, Penang, Kuching, Tawau (Sipadan Island), Kota Kinabalu and Kuala Lumpur in one trip from Los Angeles for $475! Discover Thailand! Krabi, Phuket, Chiang Mai and Bangkok in one trip from Los Angeles for $409! Great opportunity to discover one of Southeast Asia’s most sought after destinations! 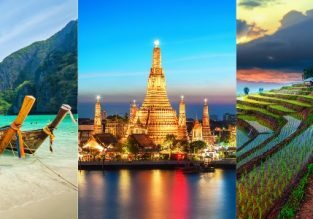 Fly from Los Angeles, USA to Thailand and visit Krabi, Phuket, Chiang Mai and Bangkok for only $409! Flights from USA to South Africa from $536! Explore Philippines! 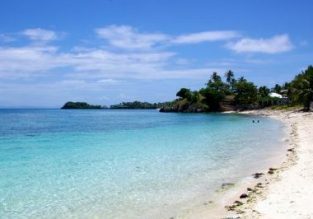 Manila, Palawan and Cebu in one trip from Los Angeles for only $389!